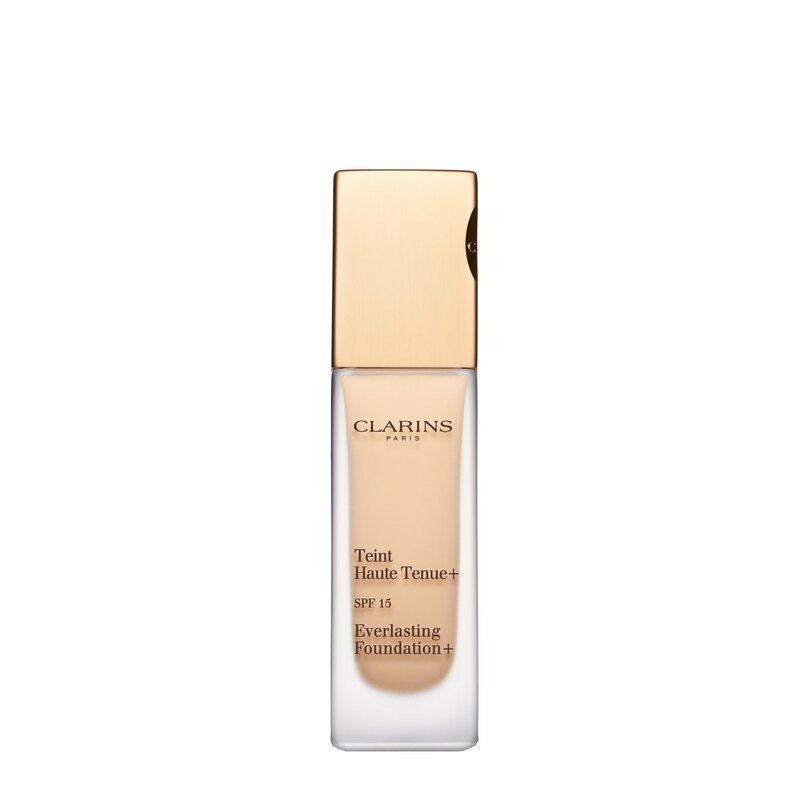 Rated 5 out of 5 by Nana Lori from Staying Power I have used Everlasting Foundation for years and will only use this foundation. I love it. So relieved when I finally found a good match to my skin with staying power. Rated 5 out of 5 by Kbaby from Gorgeous! By far the most beautiful, natural looking coverage I have found. I’ve been shopping around for months and couldn’t find anything I loved. After trying this foundation, I am 200% I live with it. 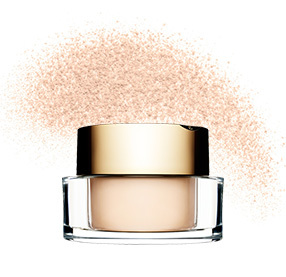 The coverage is amazing without being heavy or Cakey, does not settle in to fine lines, wrinkles or pores. For me, it’s absolute perfection!! I don’t even need a primer to cover pore and fine lines this stuff is that amazing! If I had read reviews before buying and trying for myself I probably wouldn’t have tried it but wow, I’m glad I have it a try!! I have combination skin for reference. T-zone oily with fine lines, large pores. It feels amazing even after 4+ hours of wear. Just looks like your skin only WAY better! Rated 5 out of 5 by Sunnyrich from best foundation I tried from drug store brand to very expensive bottles. This is best foundation ever. It gives good coverage but not "thick foundation" look. Rated 5 out of 5 by HipHop83 from What I've Been Searching For My Entire Life! I am 33 years old and have absolutely terrible skin: rosacea, heavy, deep scarring, uneven texture, large pores, blotchiness and very oily. Literally since I was about 15 years old and earned money to start buying cosmetics, I have been on the hunt for something that works for my skin and makes me feel comfortable and confident to take on the day. I honestly can't think of a single US drugstore or luxury foundation I have not tried. I can easily say that I spend at least $500/mo on different foundations (new and retrying old combined with others) to find that "perfect one." There were some that would seem to be great the first day or two, and then it seems like my skin magically gets used to it and decides it doesn't want to work with the formula anymore. I am used to having to fully reapply my foundation about four-five times per day and dread being at outdoor events for fear of looking like a masked clown. Until I tried this. 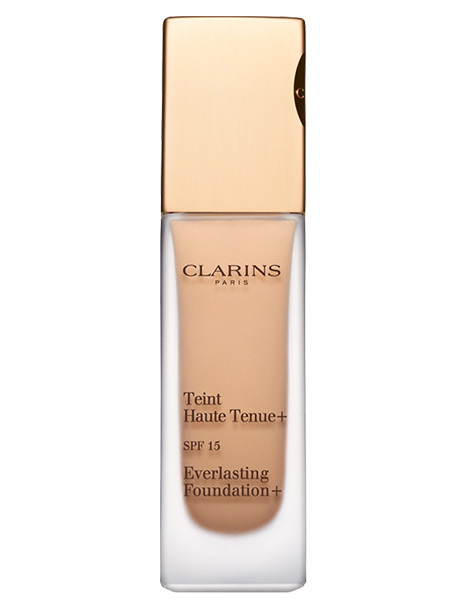 I am seriously keeping my fingers crossed that this review doesn't jinx it, but for weeks now, I have been using this foundation and I feel beautiful. It gives me full, easily blendable, lightweight coverage and, with the Ever Matte Mineral Shine Control Powder, I don't need to reapply during the day (I often will reapply once, however, if I have an evening outing just to get a new "fresh" looking face)!! I honestly never thought I would find a formula/product that would allow me to go through my day without always wondering if people were staring at how horrible my face looked!! People actually tell me how much better I look and I love it!! I cannot preach highly enough about this product! I even will work out in it (and I sweat a TON), and even though it won't be perfect, it still somehow stays out and doesn't separate or look like it's dripping off my face!! Please do not EVER discontinue this product or change its formula!!! Hands down the BEST foundation I have ever used in my entire life!!! A flawless complexion. 18 Hours* of non-stop wear. 60 subjects. Individual results may vary. 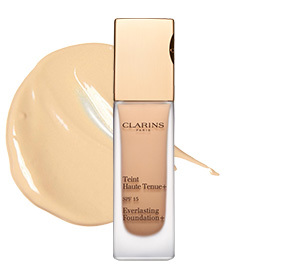 Clarins’ Light-Optimizing + Complex captures the light and diffuses it across the skin’s surface for a perfectly radiant finish. 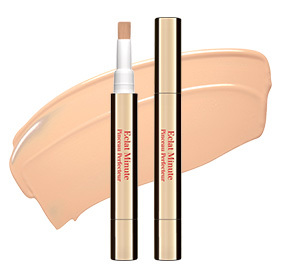 Flawless coverage with an imperceptible texture that lets skin breathe. 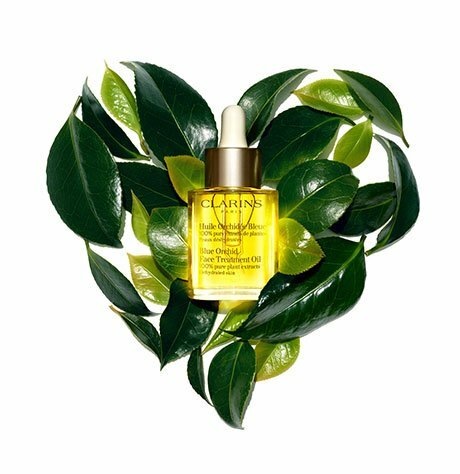 Organic Quinoa extract, combined with Clarins’ Plant Micropatch, helps maintain the skin’s optimal hydration, so it stays plump and supple. 14 luminous shades for every skin tone. Mathahle—beauty consultant and founder of The Matte Project—shares tips that will keep your foundation matte and fresh, no stress … from daybreak well into the wee hours.